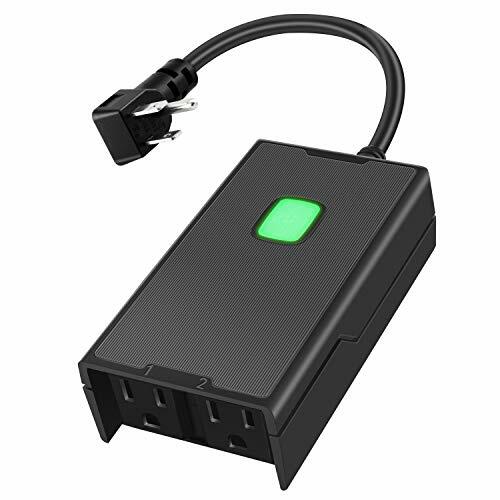 This WEGWANG Smart Home Power Strip plugs into a single outlet and provides plug-in ports for multiple devices. It’s so much more than just a simple power strip, however— it can also control your devices through voice commands or our app! You can use Amazon Alexa or Google Assistant to operate your TV, heater, air conditioner,lights and more without leaving your couch. Ideal for outdoor use, such as landscape lighting, porch light, fountains, pumps and other outdoor plug-in appliances.